If you’ve ever felt as if time is passing you by, you may want to rid yourself of the 12-hour clock. 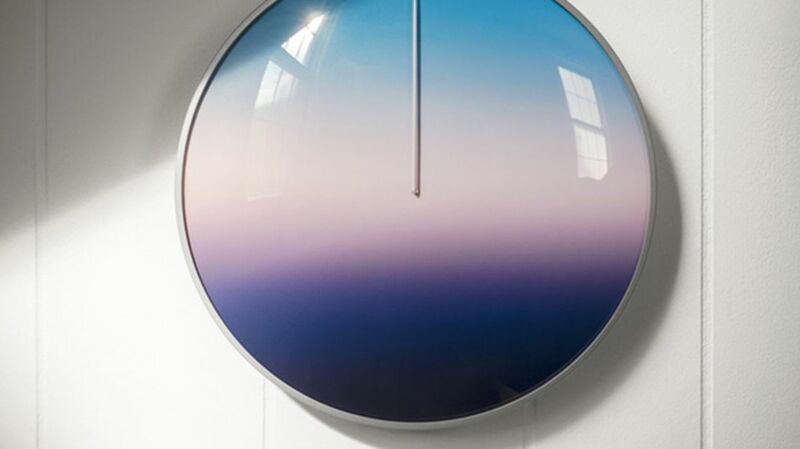 The Today clock, designed by Scott Thrift (and spotted by Curbed), looks like the mood ring of clocks, and is made to feel just as groovy. Because the hand moves around the clock at half the pace of a traditional 12-hour timepiece, time seems to move slower. How we perceive time has a lot to do with context. Older people feel time moving faster than kids, and people who are excited or busy feel it passing faster than those who are waiting for water to boil. Glancing periodically at a clock that moves more slowly could be an easy way to trick yourself into slowing down and savoring the present moment. Today is available in either bamboo or steel and glass and retails for $88 and up on Kickstarter. All images courtesy Scott Thrift via Kickstarter.